One of the biggest problems that bass fishermen face, and one that I have to face regularly, is what do you do when you lose a big bass? 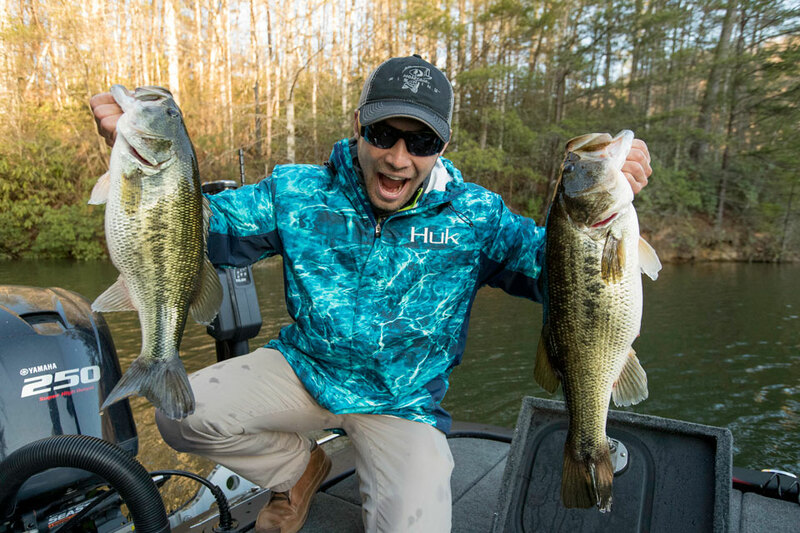 I’ve seen some anglers throw their rods down in their boats, jump up and down and scream and holler - all kinds of crazy antics - as though doing that will alleviate the pressure of losing a big bass. But none of that works for me. If you’re bass fishing, you will lose bass. The first thing I do once I lose a nice bass is try to analyze why I’ve lost the bass. Then I consider what I could have done differently to keep from losing the bass. For instance, has that fish come off my hooks, although I haven’t done anything wrong? The next question I ask myself is, “What have I done to get that big bite?” I attempt to break down what’s happened to enable me to get the bite, what my hook set has been, what equipment I’ve used, and what I can do to possibly get another big bite by a bass and not lose the fish. The earlier in the day you lose a big fish, the easier analyzing what’s happened is and determining what you need to do next. I try to not get caught up in the idea that I’ve lost a bass. But rather I try to be more interested in why I’ve lost that fish, why the bass I’ve lost has been holding where it is - on a boat dock, a ledge, brush, vegetation and/or rocks. I also ask myself how I can go to an area and repeat what I’ve done to get a bass bite to have a better outcome. Yet another question I’ll ask myself is, “Do I know of another bait I can throw back into that spot and possibly get that same bass to bite?” If I think I’ve got a chance to catch that same bass, I’ll throw back to that same place with a finesse bait like a drop-shot rig and/or a shaky-head worm, both with Zoom Trick Worms on them. If I feel that I’ve hooked the bass solidly, and I can’t cast back to it immediately, I’ll leave that bass alone until later in the day before returning to try to catch it again. I’ll even go back in a day or two to attempt to catch that same bass. But this tactic generally only works if you’re fishing for bedding bass. Another time it works is if that big bass picks a dock, a tree, a stump or a particular rock to call home. Then you might can return and catch that bass later, if you haven’t set the hook too hard or set it all. If I feel I’ve stuck the bass and drug it some ways from where it’s originally holding, I’ll look for the same type of structure in another site on the same body of water. I’ll probably use the same lure I’ve lost a big bass on when I’m fishing another location. However, I’ll examine that lure closely once I get it back to the boat. I want to make sure the point of my hook hasn’t rolled over or that nothing else about the lure has caused that bass to come off the hook. However, you can recover from losing a big bass. Another challenge for bass fisherman it catching bass in cold weather, especially in deep clear lakes. Electronics are important in those situations to help you see them. The last of August and the first of September seem to be the worst times of the year for most bass fishermen to catch bass since the weather is often so hot, especially in the South. But here are some tips I think will help you. 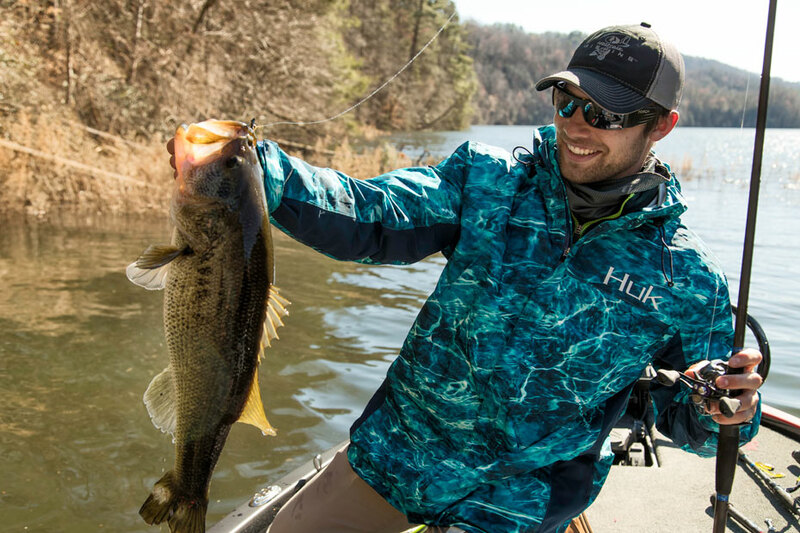 Although bass are a warm-water species, they still tend to prefer cooler water at this time of the year. Besides cool water, bass also need well-oxygenated water. Often your best opportunity to catch a really nice bass will occur just before the sun comes up or goes down. Pro Bass Fisherman Brandon Palaniuk shares his favorite baits for fishing in low light conditions. I’m the kind of bass angler who likes to fish all the way until the last possible moment I can fish before check-in. I guess the bottom line is if I’m fishing an area where I’ve caught bass previously, I’ll stay with that spot.